Scandinavia has a rich tradition in Music for Christmas. Choral groups exist in most communities throughout Denmark, Norway and Sweden - in addition Finland and Iceland should not be forgotten as part of this Northern corner of Europe. Most of these groups prepare for Christmas with special programs to celebrate the season. 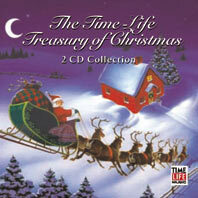 Some of them have made excellent recordings now available on CD. You will find a list of them on this site. The list is not complete, consider it a beginning to developing your own collection. New items will be added to the list over time, depending on availability and ease of access to obtain them. The first album (CD) above is by "Sons of Orpheus" the male choir from Uppsala, Sweden. It is a world famous group, having toured extensively to international acclaim. The album is outstanding in performance and sound. Full information can be found when you click on the album cover or the link above. In Norway there is a boys' choir called "Solvguttene", directly translated "The Silver Boys", referring of course to the silvery sound of the young voices. This does not work well in English but works just fine in the Norwegian language. The third CD shown here is by the outstanding Anne Sofie von Otter... A reviewer writes: "She sets the wintry scene perfectly.... Her interpretation and voice rise to a level of artistic mastery that is dazzling." Click on the album cover or the link below to read more.